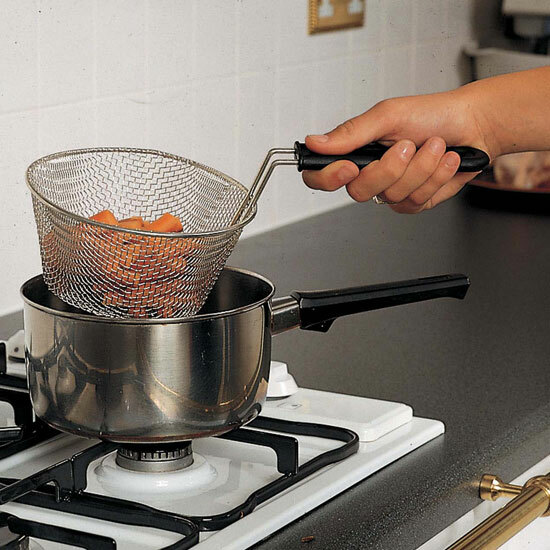 This Stainless Steel cooking basket allows vegetables to be cooked and strained without ever lifting the pan of boiling water. The large flame retardant moulded nylon handle is easy to grip and provides heat insulation. It tapers from top to bottom for easier insertion into the pan of water. Diameter 165 mm (6½") at the top to 120 mm (4½") at the bottom.